Whether you're craving a plain vanilla cone or an elaborate banana split, your local Dairy Queen has been the go-to spot for summertime soft-serve since 1940. 1. THE FIRST DQ WAS LOCATED IN JOLIET, ILLINOIS. To promote the new soft-serve store, founder Sherb Noble suggested an "all you can eat for 10 cents" sale. The promotion was so popular, Noble worried that the stampede of customers would break the glass windows of the store front. 2. A "BRAZIER" DAIRY QUEEN IS ONE THAT SERVES HOT FOOD IN ADDITION TO ICE CREAM. A "brazier," by the way, is another word for a charcoal grill. 3. THERE'S A RHYME AND REASON TO THE COMPANY'S NAME. 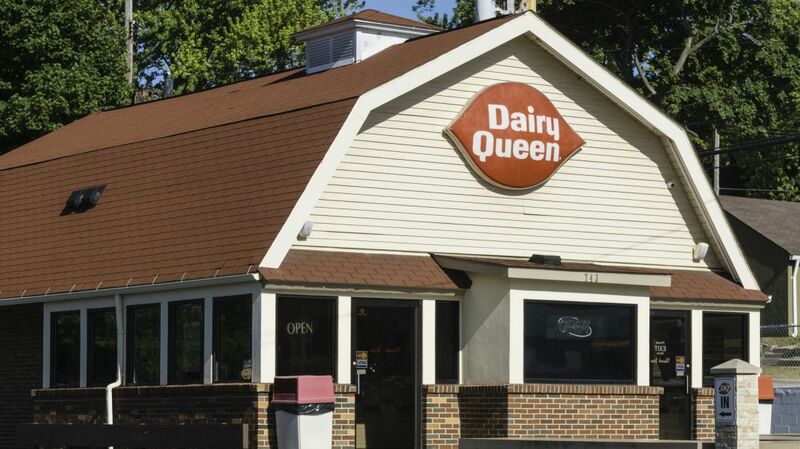 The original store was deemed Dairy Queen because Jack "Grandpa" McCullough, the "driving force" behind DQ's soft serve, said his creation was a queen among dairy products. 4. DAIRY QUEEN'S SOFT SERVE RECIPE IS A HIGHLY GUARDED TRADE SECRET. And just like KFC and Coke, they'll never reveal the ingredients. "[The formula] is kept in a safe deposit box and there are only a few keys to it," DQ's chief branding officer, Michael Keller, has said. 5. NO DOUBT FORMED AT A DAIRY QUEEN IN 1986. Gwen Stefani and her brother Eric worked with other founding member John Spence at an Anaheim store, where they discussed forming a band. Other celebrity DQ employees include former Attorney General John Ashcroft, actress Bonnie Hunt, and singer Martina McBride. 6. THOUGH DAIRY QUEEN HAS BEEN AROUND SINCE 1940, IT DIDN'T INTRODUCE ITS TRADEMARK BLIZZARDS UNTIL 1985. They sold more than 175 million Blizzards in the very first year. 7. MANY FRANCHISES TURN BLIZZARDS UPSIDE DOWN IN FRONT OF CUSTOMERS BEFORE SERVING. It's proof of how thick and delicious their soft-serve is—but it's also a total marketing gimmick. Some stores offer the treat for free if the employee fails to perform the trick. You can credit a teenage boy in Missouri for inspiring the practice. In the 1950s, Ted Drewes Jr. ran a frozen custard stand located in St. Louis, where he sold concretes—frozen custard mixed with bits of fruit. In 1959, 14-year-old Steve Gamber made a habit of visiting Drewes's stand nearly every day and asking for a chocolate malt. Every time Drewes handed it to him, Gamber would ask for him to make it thicker. 8. THE GREEN TEA BLIZZARD IS THE #1 SELLER IN CHINA. In the U.S., the most popular Blizzard is Oreo. 9. WARREN BUFFETT LOVES DAIRY QUEEN. Of course, he owns it—at least, Berkshire Hathaway does—but he really supports the product. Once, while dining at the Four Seasons in New York City, he asked staff to pick him up some DQ ice cream for dessert. Unfortunately, the city didn't have a DQ location at the time, so he had to settle for some cookies. 10. DQ SOLD A FROZEN YOGURT OPTION IN THE '90S, BUT IT DIDN'T CATCH ON. You may remember the Breeze, a lower-calorie Blizzard alternative that was made with frozen yogurt. It was around for about a decade before the company pulled it from the menu, saying demand was so low that the frozen yogurt would often go bad before it could be used. 11. DALLAS MAVERICKS OWNER MARK CUBAN ANGERED DAIRY QUEEN EMPLOYEES ACROSS THE NATION IN 2002. Cuban suggested that Ed Rush, the NBA's head of officiating, wasn't even capable of managing a Dairy Queen. In response, the company invited the billionaire to give it a shot himself—and he accepted their offer. Wearing a "Tony" nametag, Cuban spent two hours serving customers at a Dairy Queen in Coppell, Texas, in 2002. He had trouble perfecting the trademark "Q" swirl at the top of soft-serve cones. 12. TECHNICALLY, WHEN YOU ORDER A CONE OR CUP AT DAIRY QUEEN, YOU'RE NOT GETTING ICE CREAM. According to the company, "Our soft-serve does not qualify to be called ice cream. To be categorized as ice cream, the minimum butterfat content must be 10 percent, and our soft-serve has only 5 percent butterfat." 13. THE DILLY BAR WAS INVENTED IN 1955. The soft-serve round coated in chocolate and finished with that signature Dairy Queen swirl was introduced to the franchise by Robert Litherland, the co-owner of a store in Moorhead, Minnesota. Employees of an ice cream distributor in Minneapolis showed up at Litherland's door to demonstrate the technique, and finished by holding up the completed bar and saying, "Now, isn't that a dilly!" The name stuck, though Litherland had one regret: "We weren't smart enough to copyright that name." Too bad; it's been getting plenty of use elsewhere lately. 14. THE "MOOLATTE" ICE CREAM TREAT GENERATED SOME CONTROVERSY. When DQ rolled out the MooLatte frozen coffee drink in 2004, more than a few eyebrows were raised at the made-up word's similarity to the slur "mulatto." 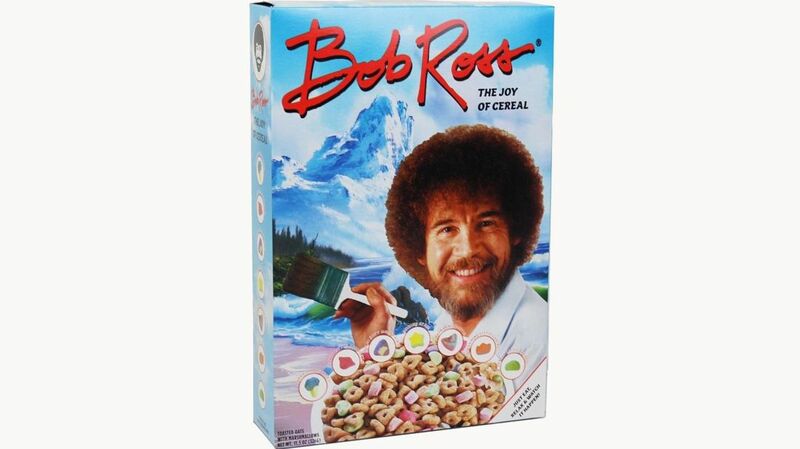 But the controversy wasn't enough to squash the product; it's still around today. 15. DENNIS THE MENACE WAS THE COMPANY SPOKESTOON UNTIL 2002. When the copyright license expired, Dairy Queen chose not to renew it. It's been speculated that company execs felt Dennis was no longer a character kids related to. 16. THERE WAS ONCE A "LITTLE MISS DAIRY QUEEN." Clad in a Dutch-style cap, dress, and shoes, Little Miss Dairy Queen was featured as a 5-foot weather vane in a select few locations. Most are gone now, but see if you can spot one on your next road trip. 17. THE WORLD'S LARGEST BLIZZARD WEIGHED 8260.85 POUNDS. It was made in 2005 in Springfield, Massachusetts. Guinness doesn't specify the flavor, but if we had to guess, we'd say it was Oreo. 18. DAIRY QUEEN ALSO HOLDS THE RECORD FOR THE WORLD'S LARGEST ICE CREAM CAKE. Made of sponge cake and vanilla ice cream, the dessert was constructed in Toronto in 2011. It weighed more than 10 tons and was topped with a ridiculous amount of crushed Oreo cookies. 19. SAUDI ARABIA REALLY LOVES DAIRY QUEEN. It must, anyway—otherwise, Berkshire Hathaway wouldn't have opened the world's largest Dairy Queen in Riyadh. The two-level restaurant is 7500 square feet and can seat 240 customers. 20. THE BLIZZARDMOBILE WAS A THING. To celebrate the 25th anniversary of the Blizzard in 2010, DQ took a cue from Oscar Mayer and rolled out the Blizzardmobile, a large truck that stopped at 25 cities in the U.S. and Canada. The truck distributed free mini Blizzards and conducted various games for coupons and prizes. A version of this list first ran in 2016. 1. Golden brown and crunchy is key. 2. Butter isn't your only base option. 3. Don't skimp on the bread. "Quality bread is key," Rubin says. “Too soft and it doesn’t develop the right crust; too hard and it's like eating a crouton. Ideally you want day-old sourdough. Sourdough is key because the air pockets that develop while proofing help add to the texture. You want day-old bread because it has firmed up a bit, giving it a better crunch after toasting." 4. All cheese is delicious cheese. “Obviously good cheese is the key to a great grilled cheese,” Rubin says. “But the best thing about grilled cheese is you can never really go wrong. Whether it’s a 5-year aged cheddar, cave-aged Gruyere, or Kraft singles, they're all delicious in their own ways.” As for which cheeses melt best? Rubin says that semi-soft varieties like Muenster and Havarti are the way to go. 5. Flavor your butter for an instant upgrade. 6. Salty and sweet is a great combination. 7. Sides aren't required, but they make it a meal. Though for some diners a grilled cheese sandwich is an entire meal in itself, there’s no reason not to indulge in a side dish. 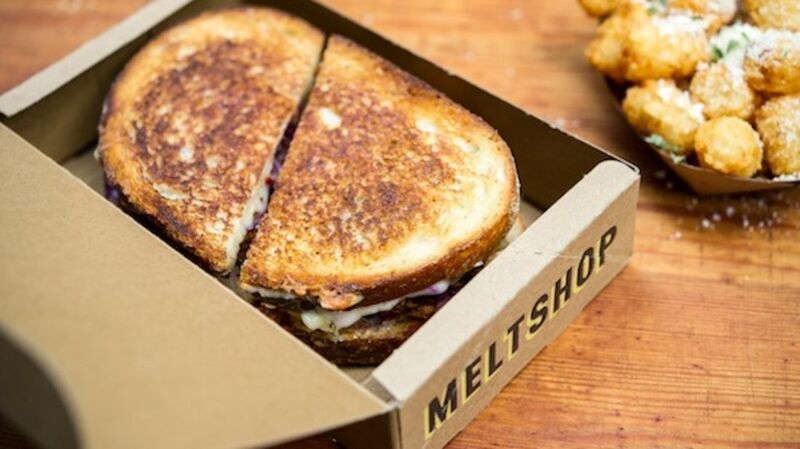 Melt Shop is well known for its menu of tater tots, but lighter sides work, too. “I like a nice side salad with my grilled cheese,” Rubin says. “It’s nice to get a little green in your meal and a good vinaigrette always helps brighten things up." This story was updated for 2019.